Does your cat refuse to sit on your lap no matter what enticements you offer or how much you cajole? Your cat has Lap-Reluctant Cat Syndrome. LRS causes no harm to cats, but causes much misery for lap cat-deprived cat companions. 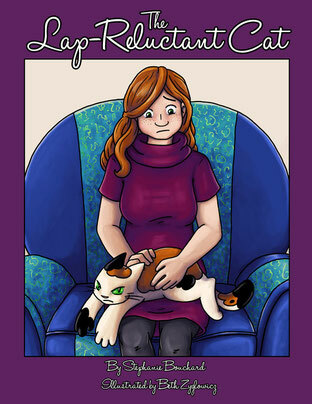 With sweetness and humor, “The Lap-Reluctant Cat,” an illustrated book for cat lovers, presents the symptoms of the little-understood syndrome and offers practical tips for coping with a cat with LRS. Available in print and as an ebook for Kindle on Amazon.com. Available in print from Barnes & Noble. Or order from your local bookstore. Check out a wonderful review of the book by Ingrid King, on her blog, The Conscious Cat.